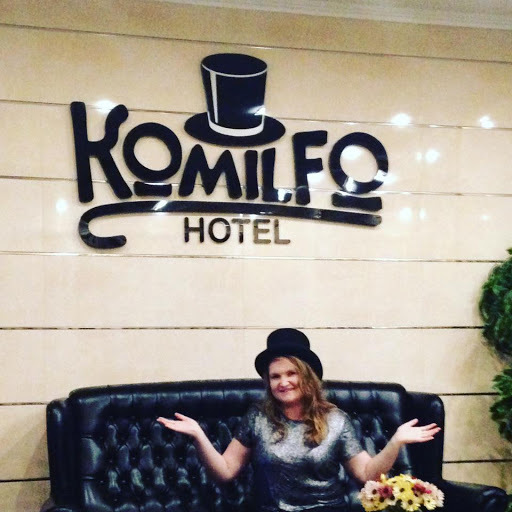 Moldova – The Grape Unknown – Where's Clair? When the Irish Football team were drawn to play against Moldova in the World Cup qualifiers, I couldn’t believe my luck. An opportunity to travel to one of the least visited countries in the World and a good excuse to do it! It also meant we could satisfy my need to travel to obscure places, and there was the football for Himself. Perfect! 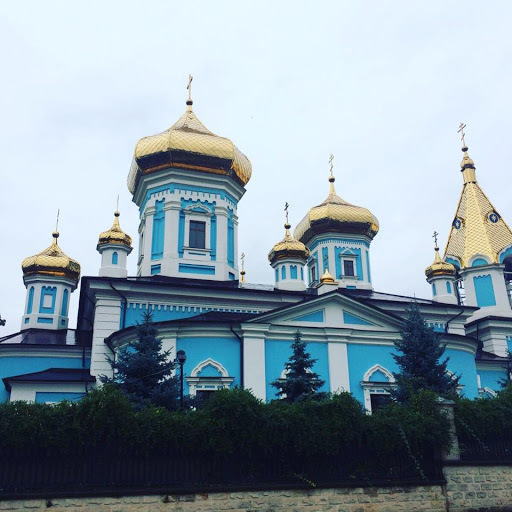 I thought it would give me a great chance to see for myself why Moldova is the least visited country in Europe or alternatively, to find out if it was in fact the old cliché “A hidden gem”. What will happen, I wondered, when a country that averages 7000 tourists per year, gets 700 in one weekend? 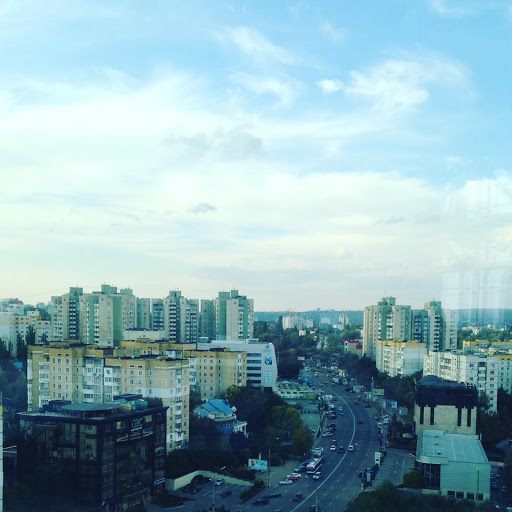 After 24 hours in Moldova I had decided my blog post would be entitled “Moldova-You’re not missing much”. Fueled with jet lag from the overnight flight and disgust that our tour of the local winery had been cancelled, the place had not exactly endeared itself to me. But, as I always do, I decided to give it a second chance and it would appear that I had spoken too soon. To be fair, Moldova was having a bad day. The rain was bucketing down as we raised our groggy heads from our pillows. 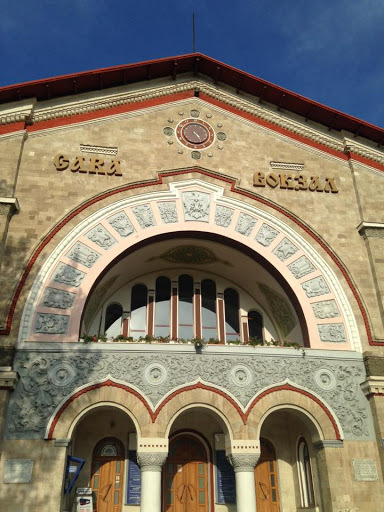 Having tried in vain to organise a trip to the Mileci Mici winery, (the world’s biggest wine cellar) we decided to go for a walk around the streets of Chisinau. I was gutted that we couldn’t go on the wine tour, given that it was basically the number one attraction in the city and the winery would not take our booking since they had no English speaking guides free. A problem caused by having 10% of your annual tourists in one weekend for the least visited country in Europe no doubt. 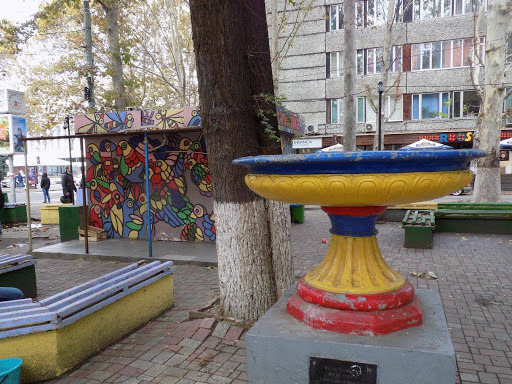 We left our hotel into the chill of Chisinau (pronounced Kish-i-now) and made our way up Pushkin Street. We were both starving having flown through the night and sleeping through breakfast, so our first port of call was to get fed. After a very cheap lunch in a commercial pizza chain “Andy’s Pizza” (Don’t judge me!) we were ready to see Chisinau. The cold rain made the experience pretty miserable and there were hardly any people to be seen on the streets, which seemed to consist primarily of Casinos, Karaoke Bars and Travel Agents. It would appear that everyone wanted to leave. 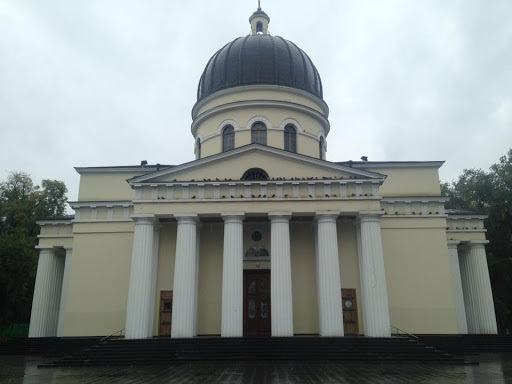 To get away from the rain we went to the first place on our map, the Nativity Cathedral. Built in the 1830’s it is now the main cathedral of the Moldovan Orthodox Church and I must admit was particularly impressive on the inside. Sadly, photography was not permitted, so you will have to take my word for it and accept my meagre description. Inside, elaborately tiled floors lead to terrific imagery painted on walls in midnight blue, turquoise and gold. The gold is not reserved for the walls and numerous solid gold statues and candelabras stand at every turn. The palatial interior seemed so disconnected to the sombre exterior of the building. I was required to cover my hair on entering and we went about lighting a candle inside the church. 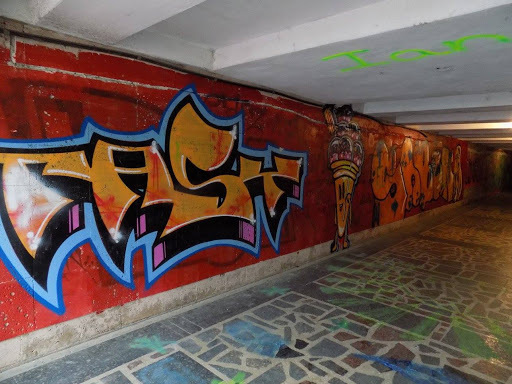 We ventured back into the rain and walked the length of the city towards the Hotel Chisinau, a monstrous structure where a number of our friends were based for the weekend. “It’s like staying with your Granny” some of them explained and noted that it hadn’t been redecorated since its construction. One building that had caught my eye however was the St Theodore Tiron Convent, the first splash of colour in this otherwise very grey city. Painted a light blue and white and topped with shining gold domes it too felt out of place with the crumbling remains of a high rise building towering behind it. After more rambling and exploring the underpasses and street art, we stopped at a trendy Asian restaurant where we indulged in beautifully presented and cheap cocktails and gave our coats a chance to dry out. 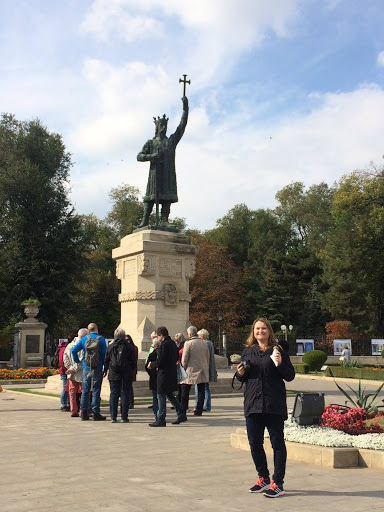 Our second day was boosted by the arrival of some sunshine and I woke up ready to give Chisinau a second chance. We tried once again in vain to get onto any of the wine tours, but it was Sunday and the wineries were closed. We were disappointed with this, because there was no information about this on their websites. I couldn’t believe that due to a rookie error of not booking in advance, I was missing out on Moldova’s number one tourist attraction. 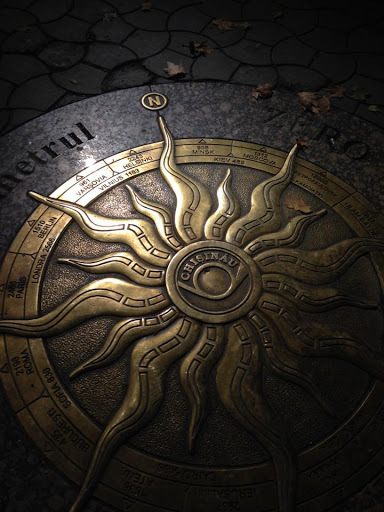 It’s funny what a bit of sunshine can do to a place though…… because without the rain, Chisinau was looking like a much better place. 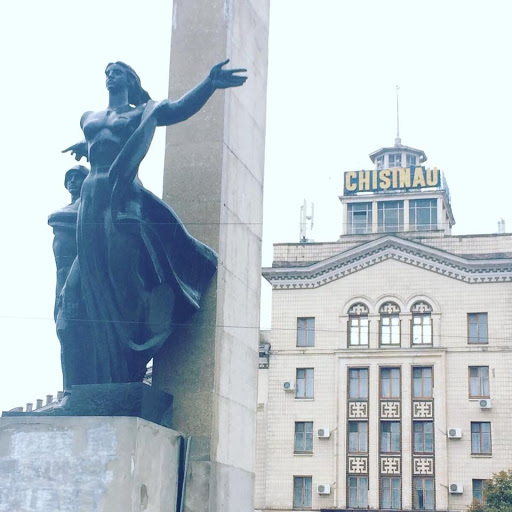 Day two started much the same as day one, with an aimless walk around Chisinau. 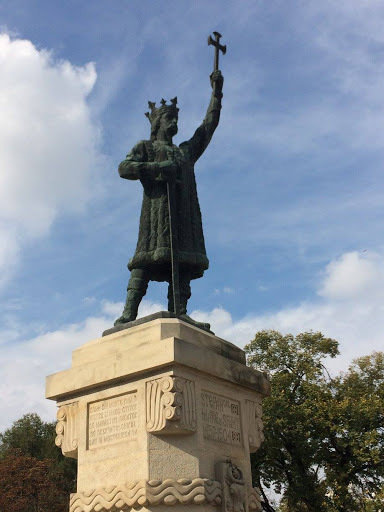 Armed with our trustee map, we first walked towards the Stefan Cel Mare Central Park. I knew that there was only one thing that could truly lift my mood, so a holiday ice cream was duly purchased and suddenly Moldova seemed like a brighter place. 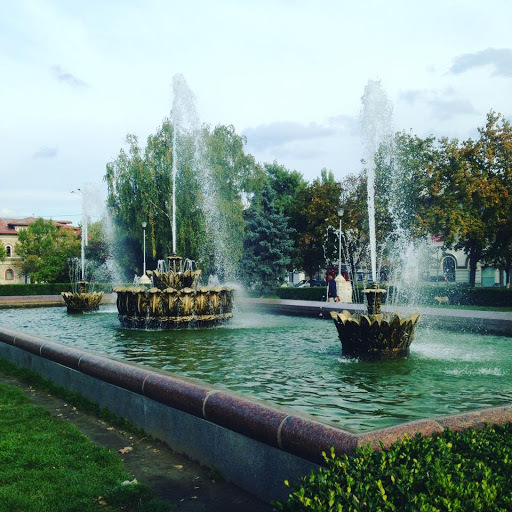 The park was a busy and bright display of the heart and soul of Chisinau with an eye-catching fountain in the centre. 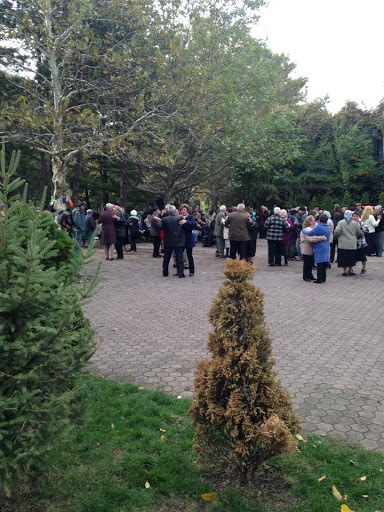 What truly grabbed my attention, and my heart for that matter, was the large group of elderly couples dancing to a live brass band. Off to one side of the park, sensibly dressed couples waltzed along to calming music. Handbags were hung conveniently on the surrounding trees. We stood for a while and watched the romantic displays of affection. 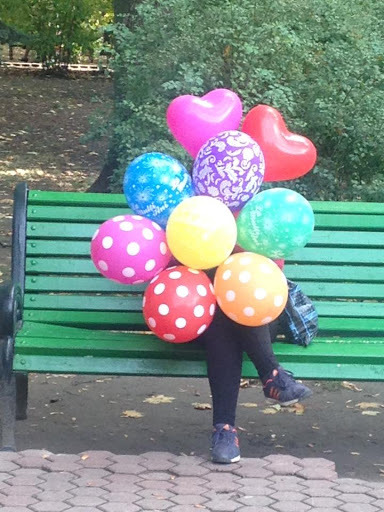 Elsewhere in the park a mother sat hiding behind a bouquet of colorful balloons while her children played and I suddenly felt a connection with Chisinau for the first time. The only place to go really was the museum of national history. I was pleasantly surprised by the range and depth of the exhibits from archaeological artefacts to political posters from the country’s independence in 1991. I was even more surprised by the beauty of the building with blood red walls in one room and ceylon blue in another. 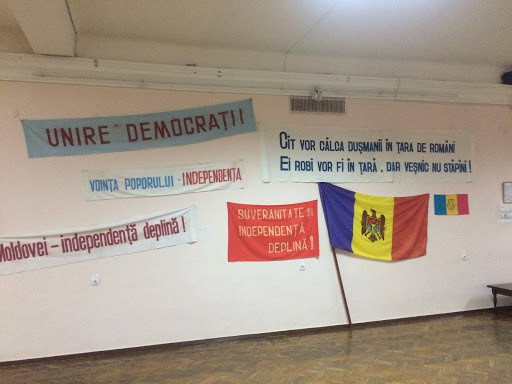 I was very intrigued by the political history of Moldova and it’s road to independence in 1991 an event which occurred during my lifetime. 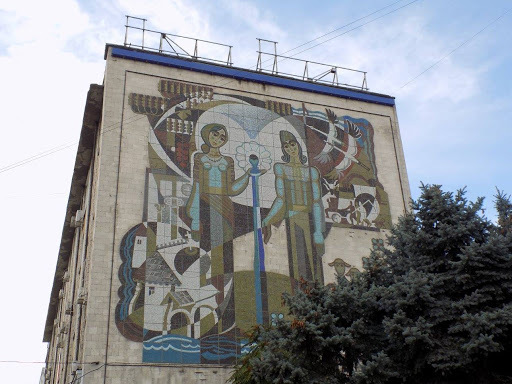 Having visited a number of former Soviet countries it is something that I have a particular interest in. The museum was slightly unique in that the curators sat in a corner of every room and displayed annoyance if you walked around the exhibit in the wrong order! I always believe that a market is the best place to go to experience a new country. 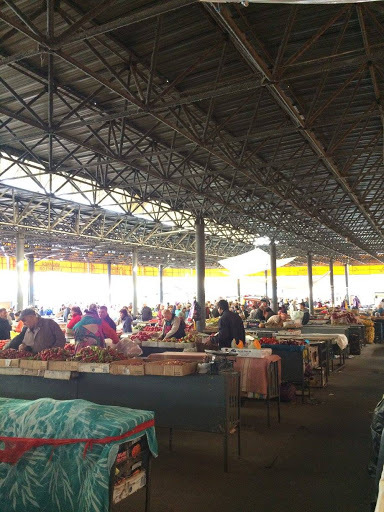 Contrary to anywhere I have been, Chisinau’s markets had no acknowledgement of tourism. It was purely filled with practical items and not a luxury in sight. Fruit, vegetables, clothes and underwear as far as the eyes could see. The marketplace was bustling but it was a very safe place to be for two tourists sticking out like sore thumbs. 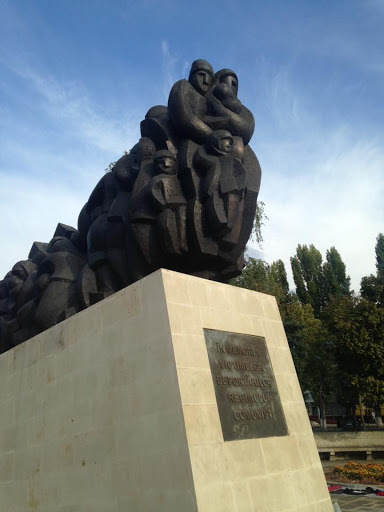 Having left the markets empty handed, we rambled on down to the central station, where a massive monument entitled “Pain Train” acts as a tribute to those Deported by Stalin. En route to the station, hoards of street sellers sit selling used items that many people would throw away. Somehow, a number of them were making sales so we spent some time simply people watching. 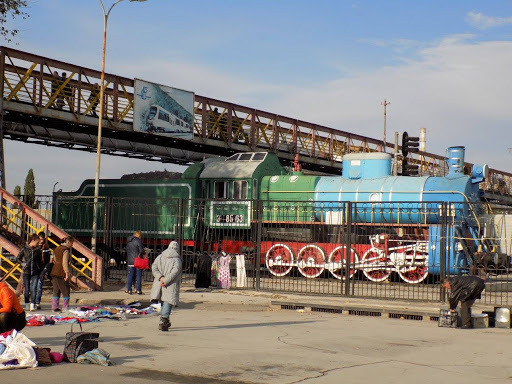 We then watched as old colourful trains approached the station and took in the atmosphere of this busy and very Moldovan area. Long days wandering around cities are thirsty work! 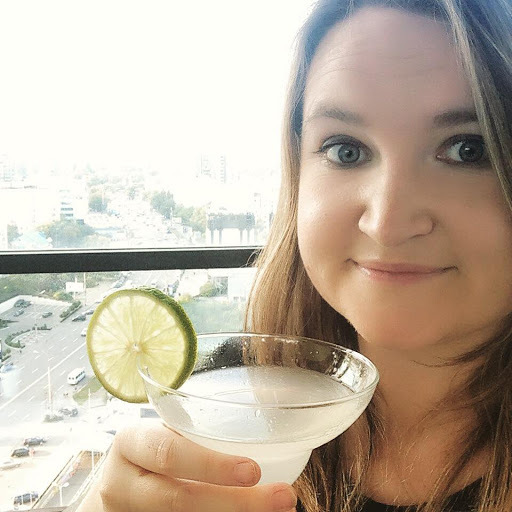 We decided to splurge a little and took a lift up to the Sky Bar where we got an incredible view of the city’s skyscape while enjoying a cocktail in a trendy bar. This was such a contrast from just ten minutes earlier where we were watching locals sell their used items. The bar was almost completely white inside and white swings and drapes fall from the ceiling, where acrobats and dancers entertain by night. Our tourism had almost come to an end and finally it was match time. We took a taxi to the Zimbru Stadium, a small football stadium with about 10,000 capacity. 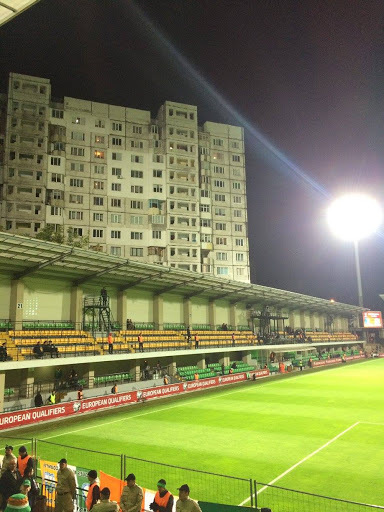 There weren’t too many local supporters in the ground, with just as many watching the game from the towering apartment blocks overshadowing the pitch. We got off to a worrying start, but with a final result of 3-1 to Ireland we could all breathe a sigh of relief. 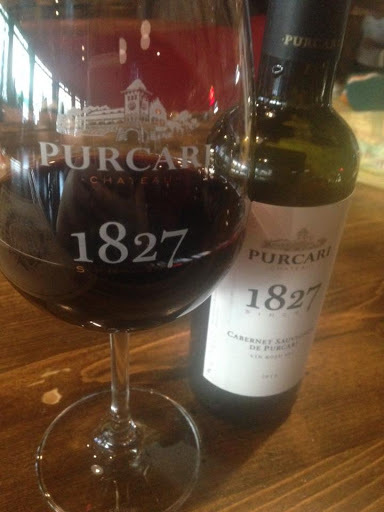 So I never did get to the wineries of Moldova, but I did make sure to taste some of their locally produced wine. It was absolutely delicious and so cheap that I decided to bring a couple of bottles home. It was a massive disappointment to not see the one attraction I was hoping to see, but I suppose it leaves me with an excuse to go back. 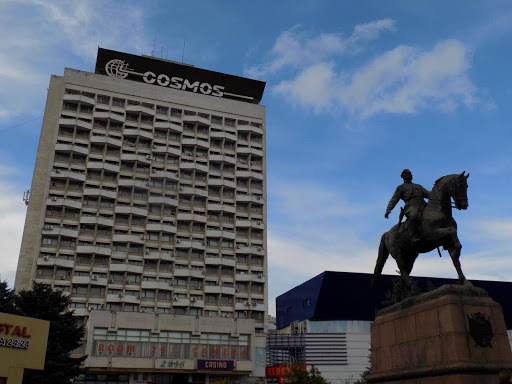 Having spent some time thinking, it seems to me that Moldova is faced with a bit of a chicken and egg situation – without tourist attractions there are no tourists, but without tourists there are no tourist attractions. 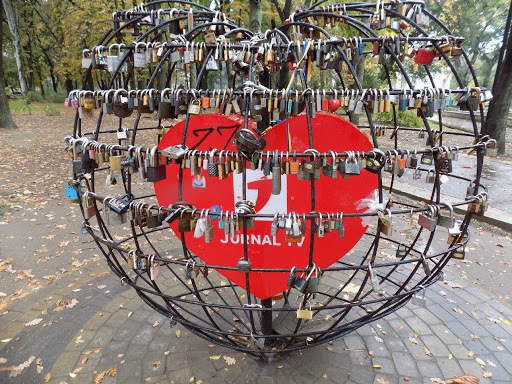 My advice, however, would be to see Moldova before the tourists, before it becomes expensive and before it loses its unique charm forever.